Carpet cleaning is an important part of any home cleaning routine. Is it time for your carpets to get a good clean? Are they looking just a little dingy, or do have stains in the carpets that you just can’t get out? Maybe you have a dog who has had an accident in the carpets and you just can’t quite get the smell out? There are a lot of reasons that carpets need cleaning, and only one company to call when you do: John’s Chem-Dyr of Whatcom County! John’s Chem-Dry of Whatcom County is here to help you get your carpets cleaner. We love serving customers in Blaine and helping them to get out the stains, traffic marks, and other spots in their carpets. Don’t settle for dirty carpets any longer. Give us a call today at (360) 734-3551 so we can discuss how we can get your carpets cleaner! Other steam cleaners in Blaine blast your carpet with gallons and gallons of hot, soapy, steamy water. Not John’s Chem-Dry of Whatcom County. We use the most advanced carpet cleaning methods in the industry to get your carpets cleaner. This deep cleaning method is called Hot Carbonated Extraction, and it uses the power of carbonated bubbles to deep clean your carpets. These bubbles reach deep within your carpets to blast dirt and grime to the surface. Then, our powerful yet gentle extraction equipment whisks all of the dirt and grime away for good. The end result is cleaner carpets then you can get from steam cleaners in Blaine. Like you, we here at John’s Chem-Dry care about the environment. You wouldn’t add soaps, detergents, phosphates or other harsh chemicals to our air, lakes, streams, or forests, so why add them to your carpets? 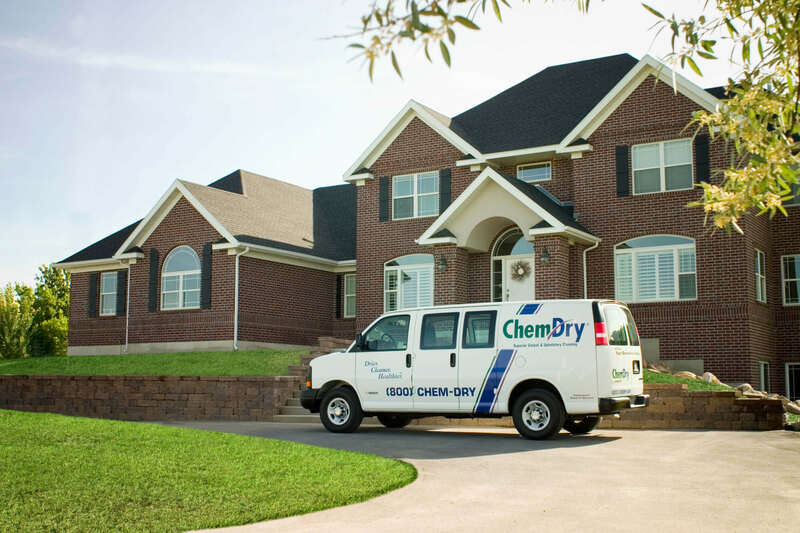 At Chem-Dry, we believe in sustainability, which is why we have branched out beyond a Green basic carpet cleaning solution and have begun offering a number of other Green solutions to carpet cleaning for the Blaine area. We promise not only to keep your home clean, but the environment as well, and that’s something we all can live with. And our commitment doesn’t stop there. Chem-Dry labs are constantly working toward Green solutions to carpet cleaning for our local community of Blaine. We put a lot of time and resources to make sure our products and services won’t harm the environment or your family. Our innovative carpet cleaning system has been recognized not only by our customers but also by the Carpet and Rug Institute (CRI). The CRI designated Chem-Dry as a company deserving the CRI Seal of Approval for the innovative and unique Hot Carbonating System. This program identifies effective carpet cleaning solutions and equipment that clean carpet right the first time and protect a home or commercial facility’s carpet investment. When you see the blue and green CSI approval seal, you can be confident that our services are high-quality and certified to deliver! But don’t just take our word for it, see for yourself why John’s Chem-Dry of Whatcom County is preferred by customers and professionals in Blaine. We provide a cleaning service that is effective and dries quickly. The patented Chem-Dry carbonated cleaning system can remove most carpet stains and it does the job with only a small amount of moisture – leaving your carpets dry in 1-2 hours, rather than the 1-2 days. Additionally, our friendly technicians will work hard in your home and make sure you love the way your carpets look before they leave. We leave your carpets clean and fresh without soaking them with water and harsh chemicals. Some cleaners force water down into your carpet fibers and padding, and though they use suction to remove the water, a large amount still remains. This creates a breeding ground for mold, mildew, and other bacteria that can be harmful to your home and family. Clean your carpets with the team you can count on – John’s Chem-Dry of Whatcom County. We provide a drier, cleaner, and healthier carpet cleaning experience. Contact us to learn more or to schedule your next Blaine carpet cleaning appointment! Call John’s Chem-Dry of Whatcom County for a carpet cleaning appointment in the Blaine area! Our friendly staff serves Whatcom County, including Point Roberts, Lummi Island, Sumas, Blaine, Everson, Ferndale, Bellingham, and Lynden area.